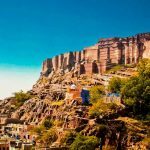 History of Palitana: The history of Palitana dates back to the year 1194 when it was founded as a “second-class” princely state. 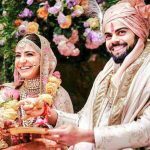 It was one of the major states in Saurashtra, while there were many other smaller states too. 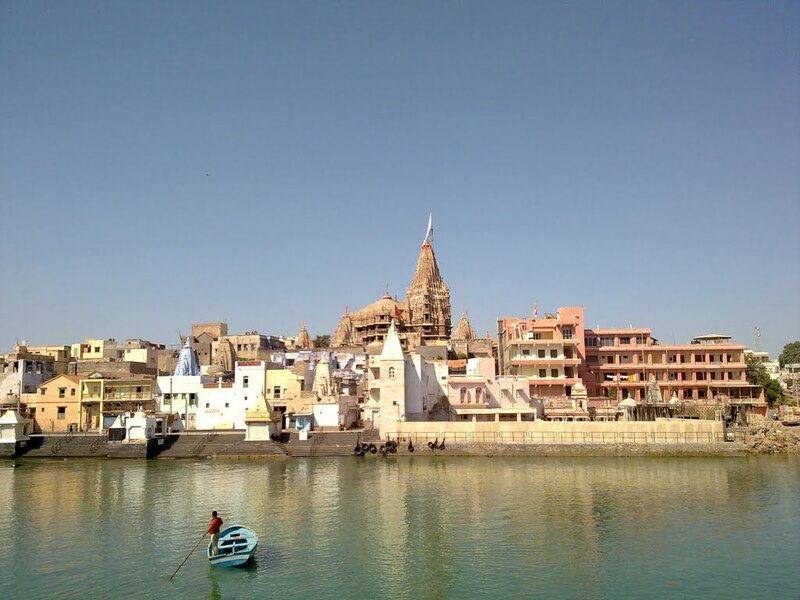 The present day Palitana givesPalitana glimpses of the vibrant history of the city. In the year 1921, Palitana had around 58,000 residents spread across 91 villages. 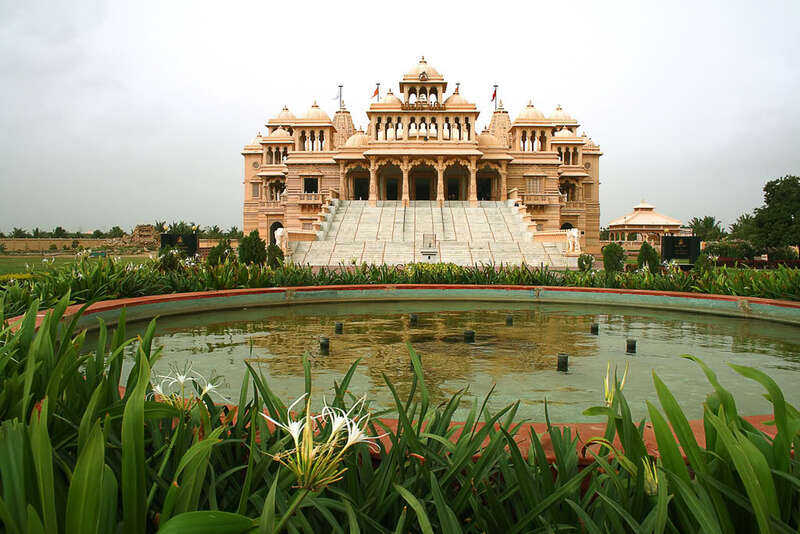 TSI India provides complete information about Palitana, Gujarat. glory of Palitana history is reflected in these temples. This was not the effort of one single person or group. The construction of these marvelous temples of Palitana was the collective effort of various businessmen who followed Jainism. These temples are an important landmark in the history of Palitana, India. 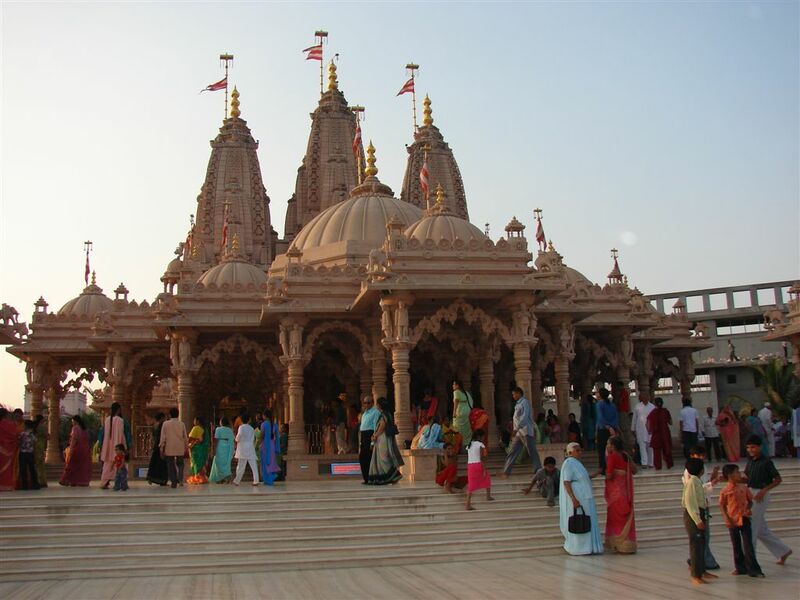 Due to these temples, Palitana is now recognized as one of the famous tourist destinations in Gujarat. However, Muslim invaders destroyed some of the oldest Palitana temples constructed in the 11th century. Palitana is on a metre-gauge line. From Ahmedabad (277km) it takes 9 to 11 hours with a change at Sihor, which is close to Palitana. There are three local trains daily to Bhavnagar (1½ hr). 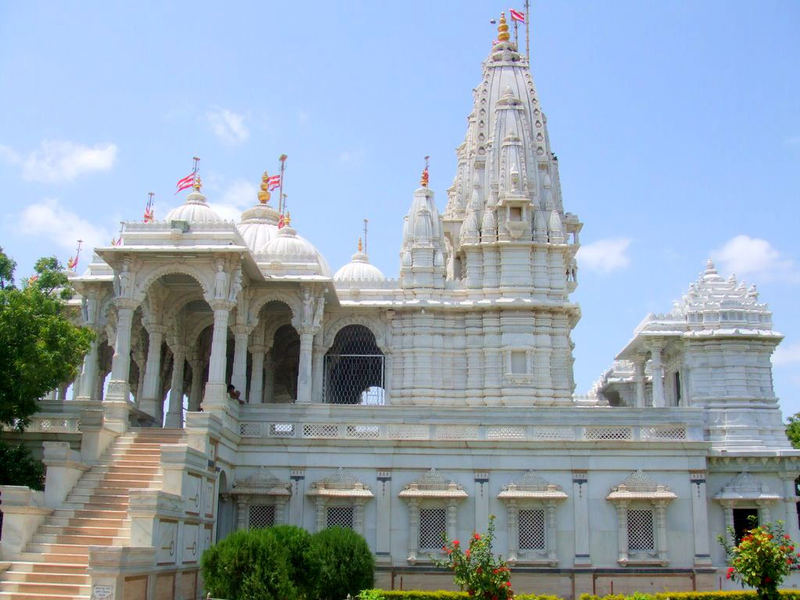 Palitana is located in the state of Gujarat and 51 km south west of Bhavnagar. 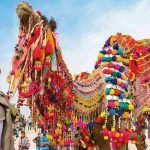 It constitutes a part of the Saurashtra Palitanaregion known for its spectacular temple sites, cities, beautiful beaches, and wildlife. 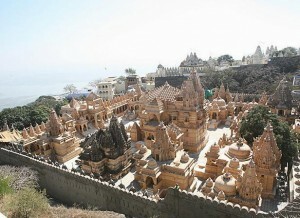 Palitana has the largest cluster of Jain temples. 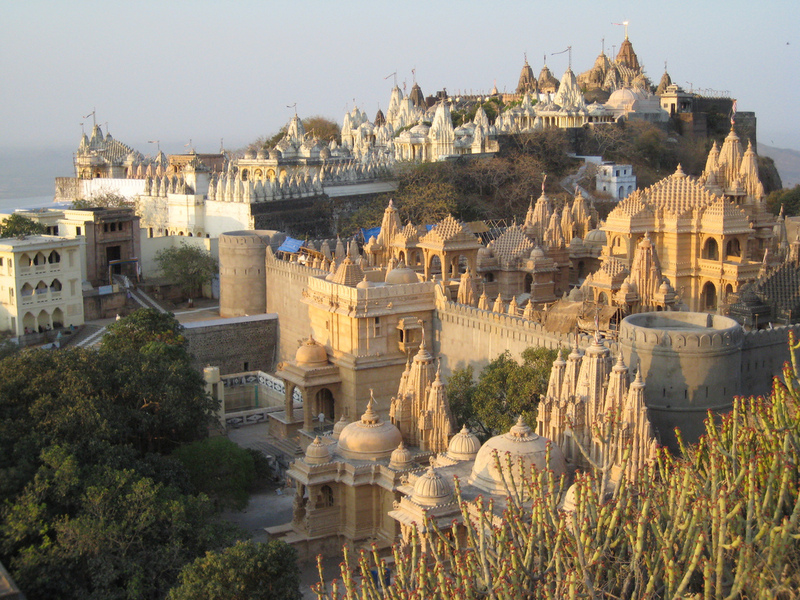 There are in total 863 temples from base to the peak of the Shatrunjaya hill, where the Palitana temples are located. 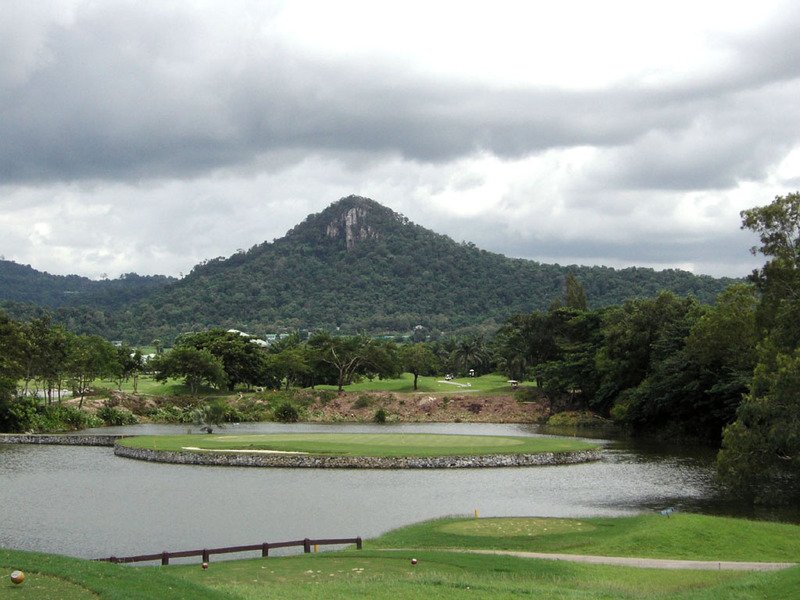 The path is climbed through 3950 steps spanning 3.5 km up the Shatrunjaya Hills. their own temples, they cleared the crest of the hill, leveled it into terraces, walled and fortified most of them. The construction of temples of Palitana spanned over a period of 900 years. 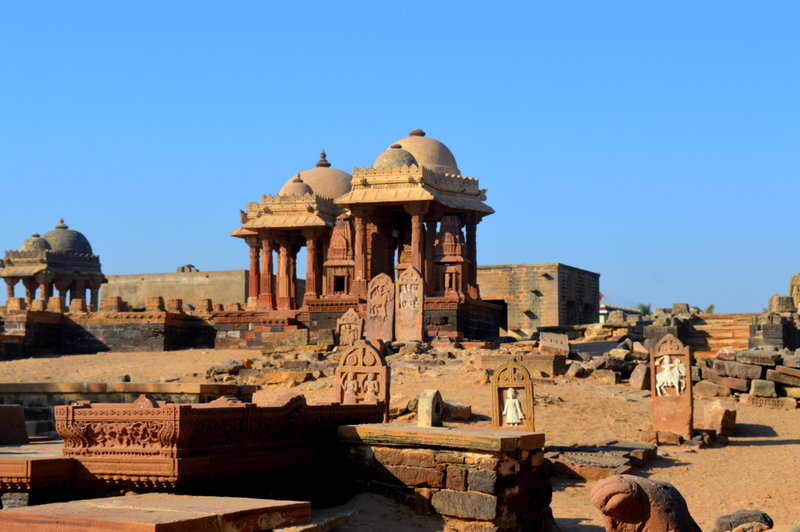 These temples were built in two phases. The first one being from the 11th to12th centuries AD as a part of the resurgence of temple building all over India. 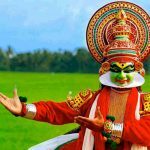 The second phase was from the 16th century AD onwards. Muslim invaders destroyed some of the earliest temples built in the 11th century AD during the 14th and 15th centuries AD. The existing temples date back to 16th century AD onwards. 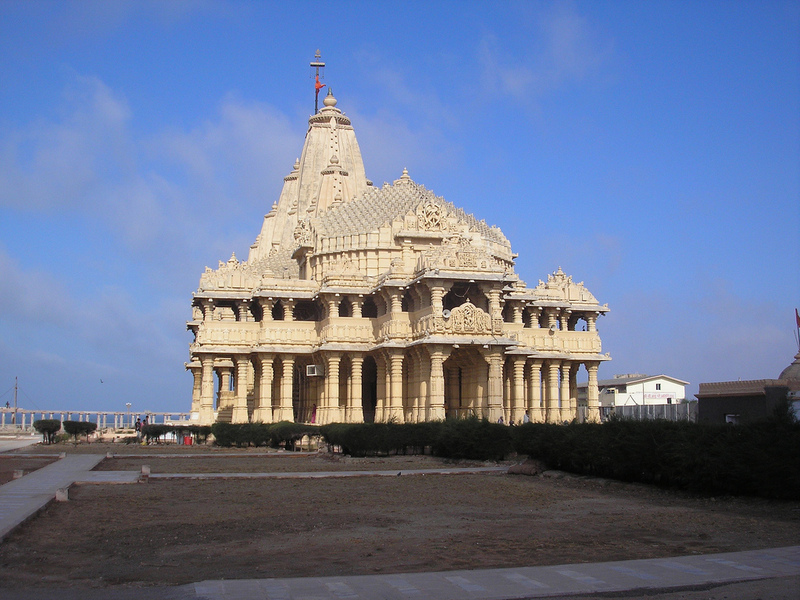 No one person can be attributed for the construction of these magnificent temples rather it was the effort of the wealthy businessmen who were followers of Jainism. The temples are raised on a common plinth. Each successive level within the temple is reflected in a higher spire above the ceiling, so that the larger temples grow in scale like waves, resembling mountain peaks. The spires are ornamented and sculpted with geometrical and floral ornamentation and take the majority of the space available. This is probably because both the marble for the temple spires and the carving had to be done on the site. The marble was brought from Rajasthan and then taken block by block uphill. The mastery of the engineers is evident from the fact that the huge slabs of marble had to be moved up the hill and then carved. 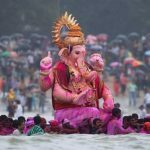 The architects and artisans had to vacate the sacred hill before sun down every day and were allowed to work during the rains. The temples in Palitana are simpler than other Jain temples with their richness of sculptures and carving, but they are in no way less impressive. Many of the smaller temples have used white plaster for their chief walls, saving the marble for the domes and spires. 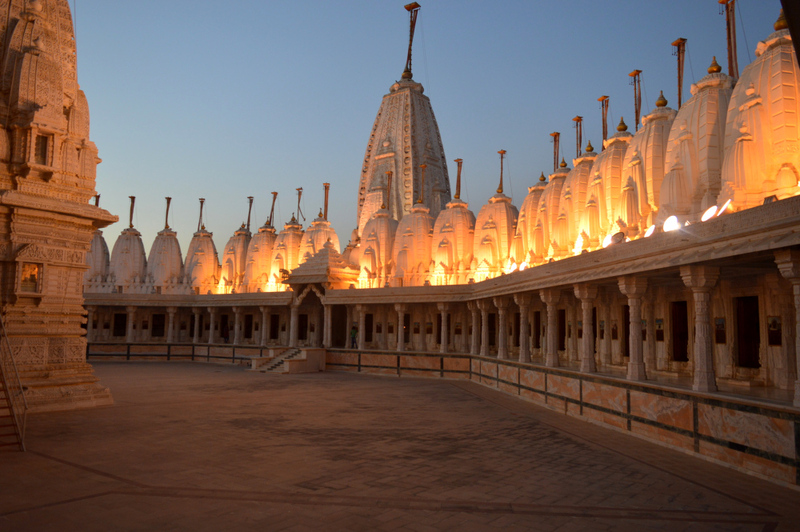 The result is a large number of pristine white temples that seem to cleanse the air with theirPalitana very presence. Shatrunjaya Hill or the Place of Victory is considered to be one of the holiest pilgrimage sites for the Jains. 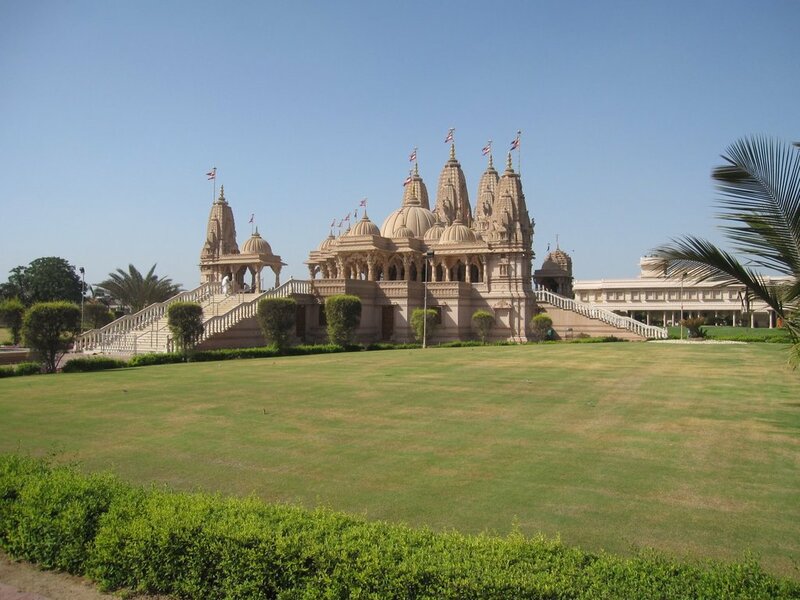 The temples are dedicated to the Jain Tirthankars and even the priests leave the temples at dusk. Sturdy walls bound the hilltops and the temples have been grouped into nine enclosures each having several minor temples clustered around a central temple. Among the most important temples is the Chaumukh temple with its four-faced deity of Adinath enshrined on a marble pedestal in a shrine open on all four sides. It was built in the early 17th century AD. The temple was planned as a large square subdivided into smaller squares, each structure topped by a dome. The innermost five dome topped squares form a cross and represents the five hills sacred to the Jains. 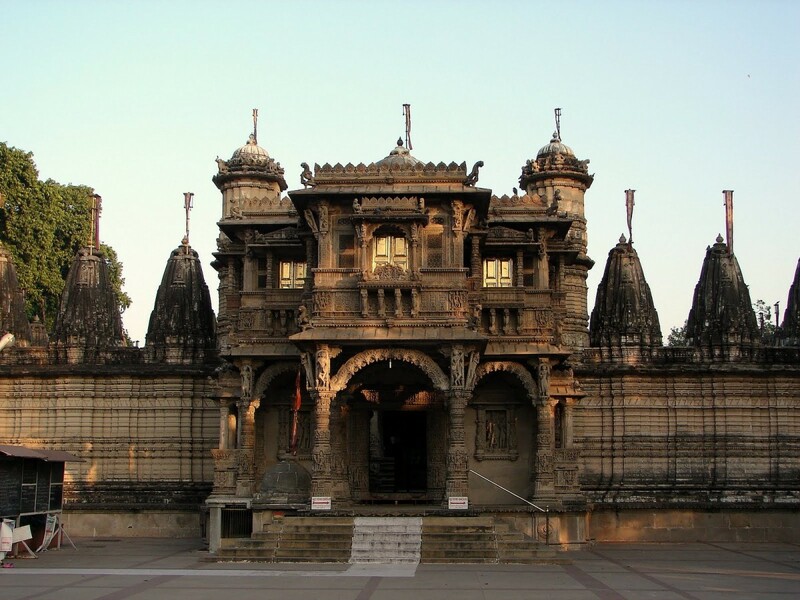 The Adishwar temple is probably the most profusely decorated in Palitana. 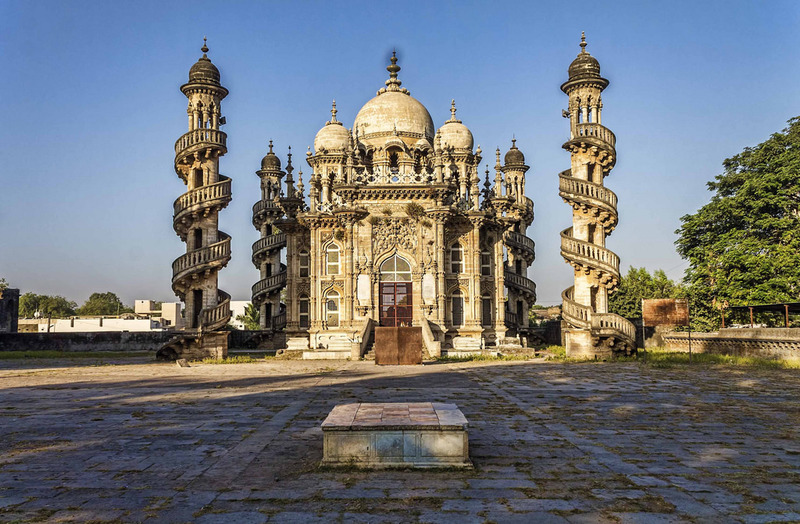 Its ornate pillars and roofs are decorated with intricately cut marble in the shape of dragons. 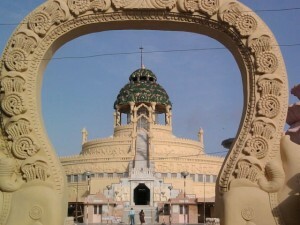 The Muslim shrine of Angar Pir is near the Adishwar temple. Childless couples make offerings of miniature cradles at this shrine in the hope of being blessed with children. 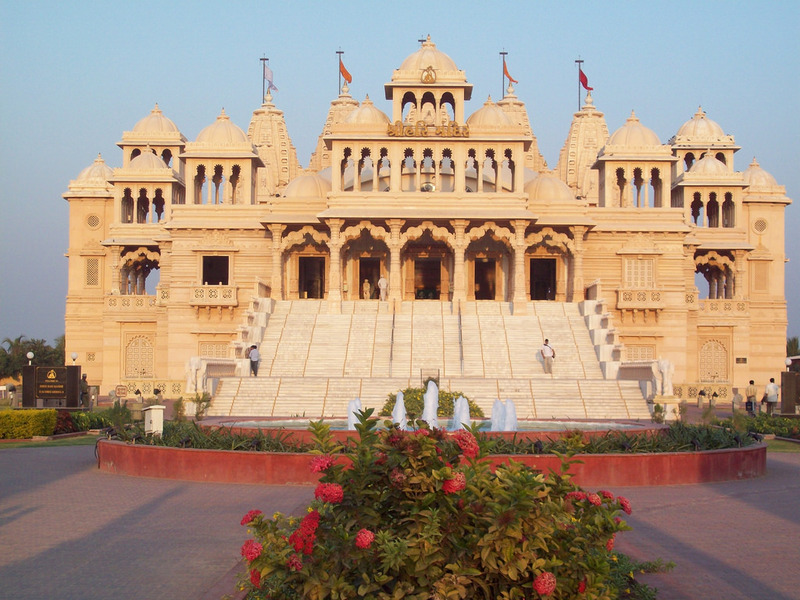 Other temples worth mention are the Sampriti Raja, Kumarpal, and Rampal. The journey is strenuous task. The walk up the stone stairway hewn into the mountain face takes about an hour and a half. The code for the climbers is stringent, in keeping with the rigors of the Jain faith. Food must neither be eaten nor carried on the way. The descent must begin before it is evening, for no soul can remain atop the sacred mountain during the night as Gods are to be left alone.